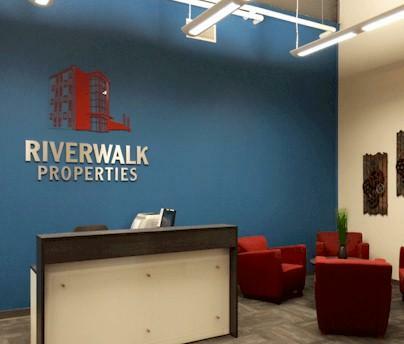 Acrylic letters, logos and lobby signs are one of our most popular sign types. We have created signs for hundreds of clients using acrylic. 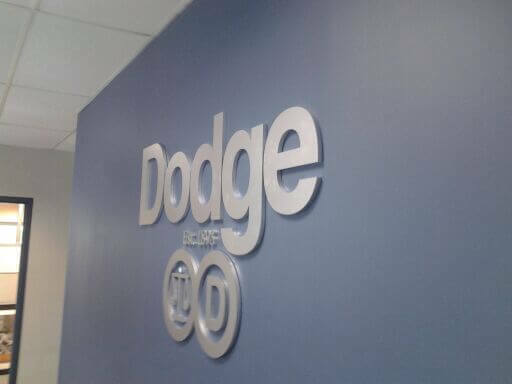 Dimensional logos and acrylic letters are perfect for corporate lobbies, medical buildings, lawyers offices, retail and so much more. One of our most popular sign substrates is acrylic. Acrylic is a UV stable durable plastic material which is available in a range of thicknesses. Acrylic is a great interior or exterior sign substrate. We can route any shape, letter style, or acrylic logo to meet your needs or fabricate a custom flat clear acrylic panel sign with standoffs for a nice lobby, directory or display sign. Acrylic is available in a variety of standard opaque and translucent colors, or can be painted to match your logo Pantone (PMS) colors. We can even add digital graphics using vinyl printed graphics or directly printed on the acrylic to match gradients, pictures, and other detailed artwork. Clear acrylic standoff style signs with digital graphics, vinyl lettering or raised letters are very popular for office lobbies, nameplates, hotel informational signs, and more. They are also widely used in retail establishments to showcase designers, departments, and provide attractive displays. 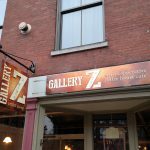 We can also use a combination of standoffs, cables, and back panels to create a beautiful sign for your office or retail establishment. The sign shown above is a series of clear acrylic directory panels mounted to a cable system. It is easy to change and an attractive contemporary solution for a lobby directory in a corporate, medical or retail establishment. We can help you chose the right combination of acrylic thicknesses, accents and colors to enhance your lobby or office while making your logo stand out. In some instances our clients are at the end of their lease, or are growing and may move. In this case, they may want a lobby or logo sign that is more portable than the standard cut acrylic letter sign. In this case, we offer a clear, painted or Chemetal laminated acrylic backer panel combined with stand offs which are available in a wide range of finish options. These panels can be decorated with raised letters, vinyl letters, or even full color digital graphics. 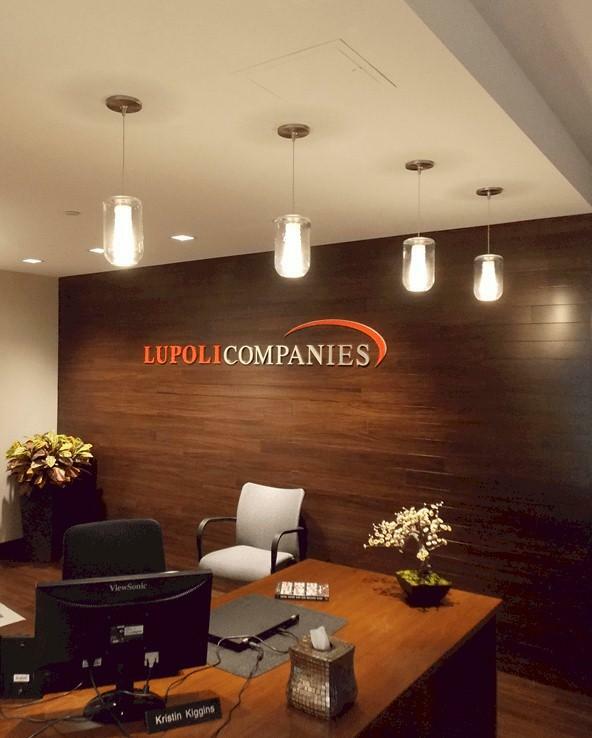 This is a great way to extend your branding, dress up your lobby, or welcome your clients into your office. 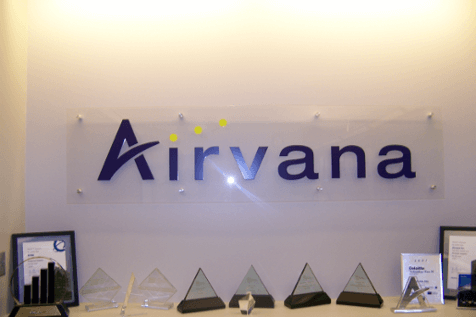 The Airvana sign shown above is a 1/4″ thick clear acrylic panel with raised cut 1/4″ letters painted in two Pantone (PMS) colors. The sign is mounted using brushed aluminum standoffs. This style is also available with vinyl or full color graphics for an attractive yet cost effective sign solution. Standoffs are also available in a variety of finishes included brushed and polished silver and gold aluminum, stainless steel and even plastic. Cut letters and logos directly mounted to the wall using double tape or studs is another excellent way to use acrylic signs as shown in the samples below. 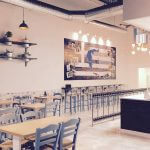 We can match virtually any Pantone color, or create a nice look using a combination of acrylic and hundreds of options in Chemetal finishes including brushed and polished alumninum, bronze, copper and more. Letters can be flush mount to the wall or mounted off the wall using spacers. 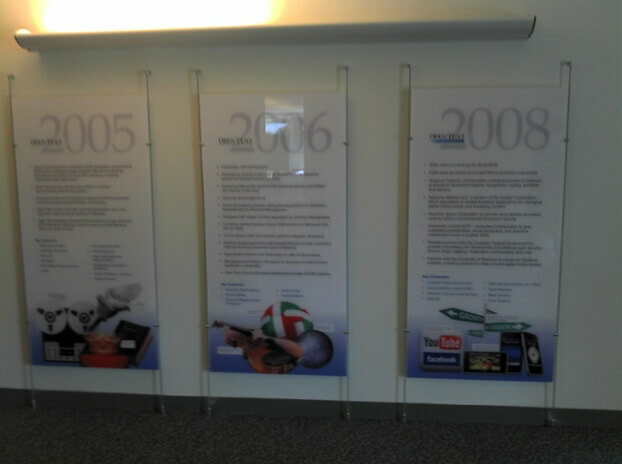 Express Sign & Graphics, Inc. also offers a wide range of Cable mount solutions such as the history wall shown below. We can create custom graphic panels or changeable poster holders to make attractive displays for all types of uses. These are great for corporate offices, donor walls, and museum displays. We offer a wide range of solutions for your corporate, medical, educational or retail needs. 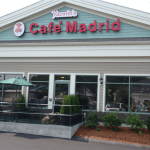 Give us a call today at 978.250.9890 or 1.877.SIGN123 to discuss your next acrylic sign project.